Myron Avery was the second chairman of the Appalachian Trail Conference and was one of the founders of the Potomac Appalachian Trail Club and served as that club's president for many years. Under his stewardship, the ATC and its associated clubs completed the Appalachian Trail in 1937. 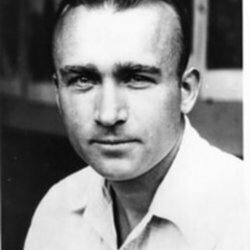 Avery was the driving force behind the creation of a number of the southern trail-maintaining clubs, and was the Trail's fiercest defender from the time he assumed the ATC chairmanship until his death in 1952. 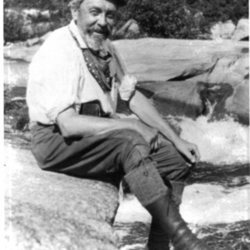 Arthur Perkins was the first chairman of the Appalachian Trail Conference. Perkins, a judge from Hartford, Connecticut, was an avid outdoorsman and member of the Appalachian Mountain Club. After assuming the chairmanship of the ATC, Perkins recruited a young attorney named Myron Avery to the Appalachian Trail project. Avery went on to become the second ATC chairman and was the man most responsible for the completion of the AT in 1937. Perkins was instrumental in turning the ATC into an organizing force for the building of the Trail and often served as a mediator between various individuals and organizations that had differing visions of how the project should proceed. It was industrial labor of this type that Appalachian Trail founder Benton MacKaye saw as so damaging to the health and well-being of Americans. 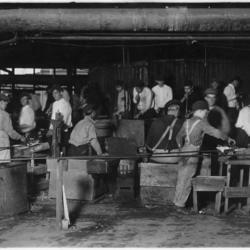 He hoped that his trail project would give workers like these men and boys at a glass works in 1909, the opportunity to spend a little time in nature, where they might heal some of the damage inflicted on them by the hazards of their work. 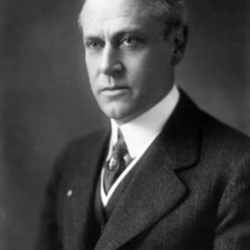 Stephen Mather was the first director of the National Park Service, serving in that capacity from 1916-1929. 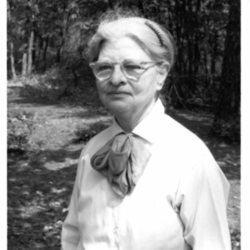 Mather was one of the small group of like-minded conservationists and trail club members who founded the Appalachian Trail Conference in 1925. 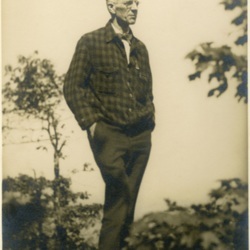 Benton MacKaye took part in the meeting of several of the southern Appalachian Trail clubs at Cloudland Lodge, Georgia, October 13-14, 1934. In this photograph, he is standing at the summit of Whiteside Mountain, N.C.
Jean Stephenson, in the late 1960s, either just before or just after she retired as editor of the Appalachian Trailway News. 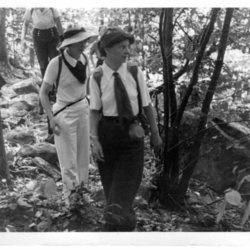 Jean Stephenson (left) and Marion Park (right) on a day hike on the Appalachian Trail sometime in the 1930s or 1940s. Stephenson was the long-time second in command to ATC Chairman Myron Avery and Park was the long-serving secretary of the ATC. 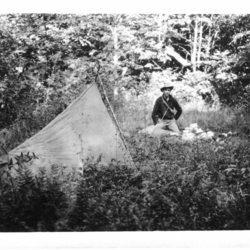 Walter D. Greene on the Appalachian Trail in Maine in the 1930s. Greene was the individual most responsible for the extension of the AT into Maine, cutting and blazing well over 100 miles of the eventual route of the Trail. 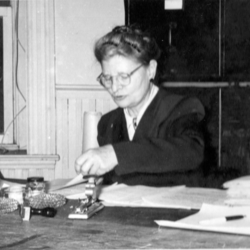 Jean Stephenson (1892-1979), founding editor of the Appalachian Trailway News and author of a number of important ATC publications, including Guide to the Paths of the Blue Ridge and the Conference's guide to the Appalachian Trail in Maine. Stephenson was also ATC Chairman Myron Avery's most important support during his years as ATC chairman, managing his correspondence, defending him to his critics, and helping him organize the work of the sprawling ATC enterprise. Stephenson held a doctorate in law and was a member of the Washington, D.C. bar. 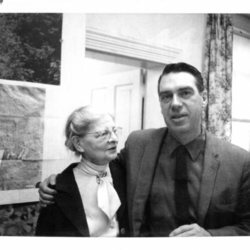 She was an avid genealogist, he helped direct a genealogical research program sponsored by American University, the National Archives, the Library of Congress, and the American Society of Genealogists. 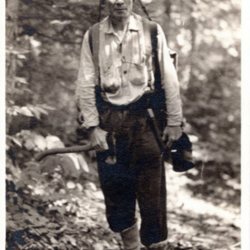 Georgia Forester Roy Ozmer, either during his expedition marking the Appalachian Trail in Georgia in 1927 or during his trip through Southern Virginia where he marked out the Appalachian Trail south of the Peaks of Otter in 1930. 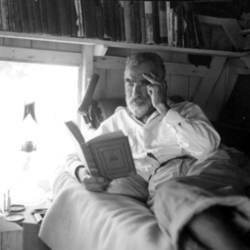 After the Second World War, Roy Ozmer, the man who blazed much of the original route of the Appalachian Trail south of the Peaks of Otter in Virginia, moved to Pelican Key, Florida, where he became a locally famous hermit.